Beautifully designed, bursting with functionality! 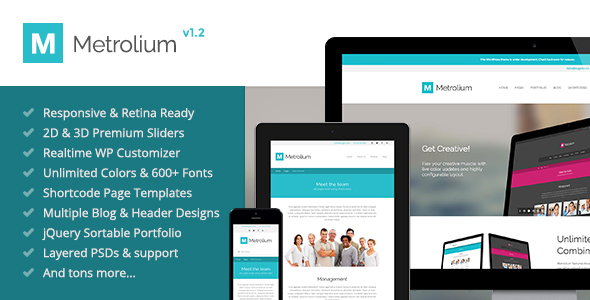 Metrolium is a modern, metro inspired, multi-purpose, Retina Ready responsive WordPress theme. Beautifully designed, lovingly coded and absolutely bursting with functionality. As though that’s not enough, you’ll also receive free updates and great support to boot. What more could you possibly want? Two Awesome Parallax Sliders included – worth $30! Metrolium comes packed with the incredible LayerSlider Parallax WordPress Plugin (worth $15!) and Revolution Slider WordPress Plugin (worth $15!). Unlimited Customizability with REAL TIME instant preview! Even at version 1.0, this theme is already solid, full of features, customizable with instant previews, and comes with detailed documentation (including a full shortcode reference guide). Metrolium hits on all the right criteria for me: Google web font support, responsive design (on mobile devices, you get a beautiful slide-out menu which fits well with many iOS/Android apps these days), built-in support for Portfolio and Blog and a clever layout based on “Bands” that can themed to your liking. The support from David, so far, is outstanding. I can’t recommend this theme enough! 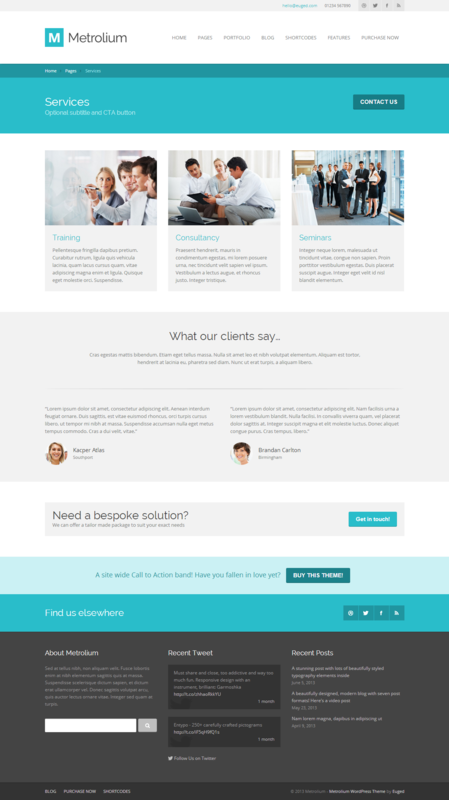 Beautiful template – support is terrific! Nice theme and good support! Thank you! Hello – I just wanted to say your theme is fantastic! I’ve never seen anything as flexible as this before. Just about everything is customisable from within WordPress appearance customiser. This is a beautiful theme with equally beautiful functionality and support. Very well done. Absolutely Bursting with Awesome Features! Scroll down past the following images for Metrolium’s feature list. Create your own with unlimited combinations! Stunning blog with two styles and six post formats! FIXED: Bug that broke mailto links when used in certain shortcodes. FIXED: Fixed CSS bug in third party Showbiz package. FIXED: Fixed broken path to social icons web font. FIXED: Misspelt LinkedIn icon class name. CHANGED: Moved fonts to theme/resources. CHANGED: Moved images to theme/resources. CHANGED: Moved packages to theme/resources. CHANGED: Moved scripts to theme/resources. CHANGED: Moved stylesheets to theme/resources. CHANGED: Merged icomoon stylesheet into main stylesheet to reduce HTTP requests. CHANGED: Merged Font Awesome stylesheet into main stylesheet to reduce HTTP requests. UPDATED: Removed redundant demo live options. FIXED: Bug in cuztom dependency caused by incorrect static function call. FIXED: Bug in showbiz plugin implementation. FIXED: Added various empty checks to prevent notice warnings. 1 new addition, 6 bugs squashed & 4 other changes. 1 new addition, 2 bugs squashed & 2 other changes. FIXED: Navigation sub menu indicator on sub menus layout fixed. FIXED: "leave a reply" link no long displays on blog posts that have comments closed. 13 new additions, 8 bugs squashed & 2 other changes. ADDED: New masonry "pinterest" style portfolio layout. ADDED: New masonry "pinterest" style blog layout. ADDED: Theme Options to enable/disable meta sections on single blog page (author, tags, cat). 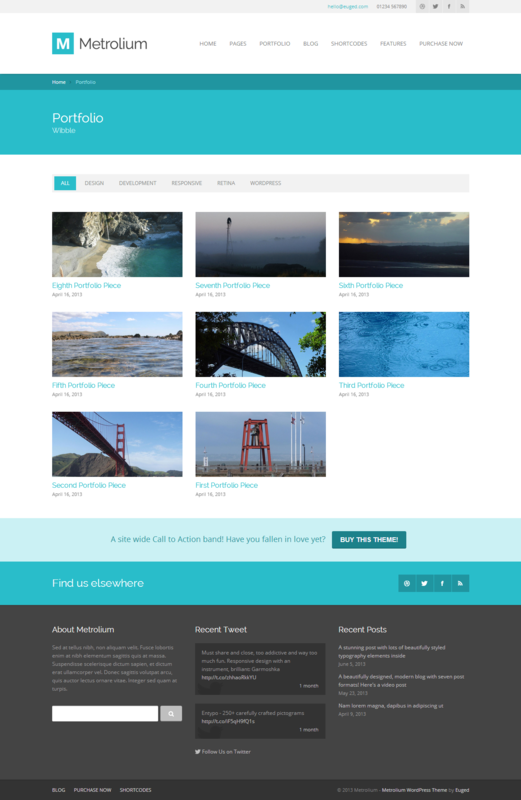 ADDED: Theme Options section for new blog template controls. ADDED: Fancybox integration into portfolio archive pages. ADDED: Ability to show/hide project details on single project page. 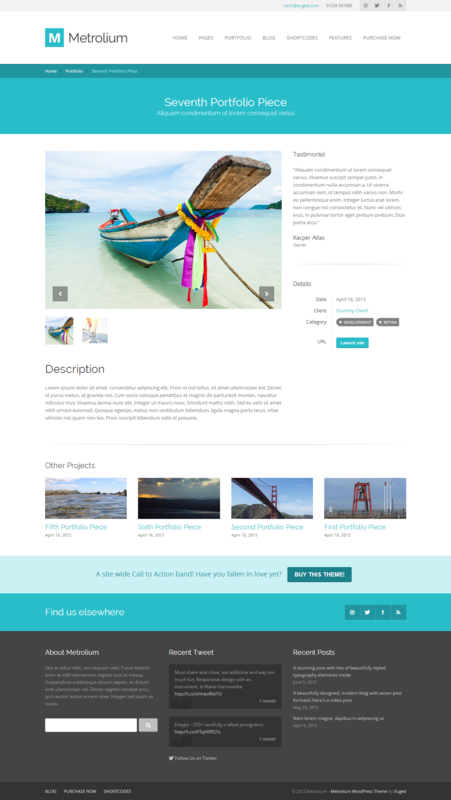 ADDED: Hover effect to portfolio 1 column layout. ADDED: Classes to single portfolio headings to enable visibility control via CSS. 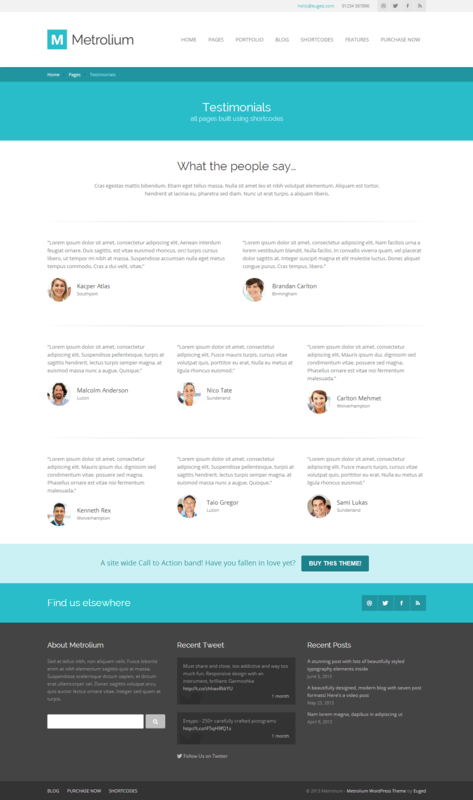 ADDED: Comments support to single-half portfolio template. ADDED: Added ability to choose an 'active_panel' on accordion shortcodes. 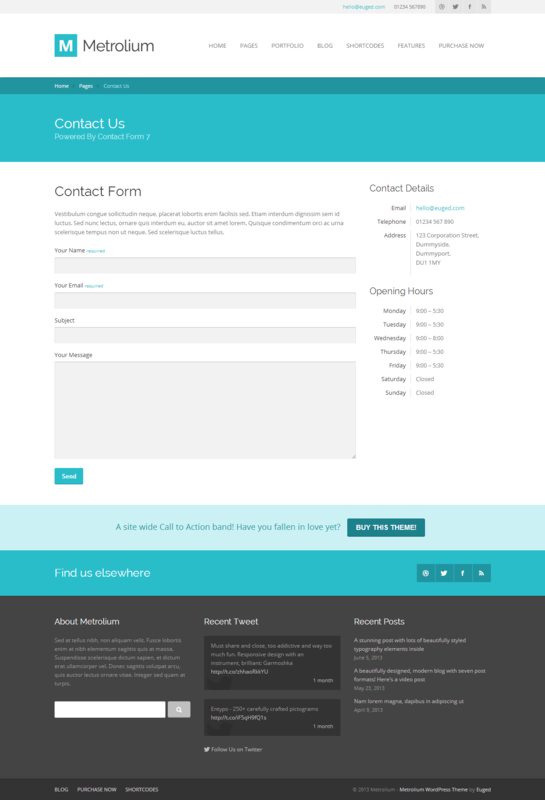 ADDED: Support for WordPress Multisite skin-overrides. ADDED: Showbiz carousel integration with blog and portfolio shortcodes. ADDED: Google Plus support to [person] shortcode. FIXED: Broken portfolio archive query causing no portfolio items to show. FIXED: Incorrect error message on quote-format template. FIXED: Twitching images on hover effect. FIXED: Google Web Fonts were not dynamically loading in wp-customizer. FIXED: Bug where slider titlebar was encoding HTML entities on output causing shortcodes to break. FIXED: Several misc styling issues. FIXED: Trim copyright now updates in real time when edited within wp-customizer. FIXED: Bug where users couldn't define titlebar sliders for the blog or portfolio. UPDATED: SliderRevolution packaged plugin updated to the most up-to-date version. UPDATED: LayerSlider packaged plugin updated to the most up-to-date version. Hotfix: 3 bugs squashed & 3 other changes. FIXED: Added back controls for sidebars. FIXED: IE8 responsive issues caused by v1.1. FIXED: Breadcrumb issue caused by v1.1. CHANGED: Radios in page options to selects. REMOVED: IE7/IE8 stylesheets reducing HTTP requests. 12 new additions, 12 bugs squashed & 12 other changes. ADDED: New header style: Sticky header (sticks on tablet and above). ADDED: Backwards compatibility for PHP 5.2, theme will now work on 5.2 and above. ADDED: Official version of FontAwesome as previous was missing some icons. ADDED: Ability to add scalable buttons in LayerSlider slides. ADDED: Sub menu styling (chevrons) to navigation to visually indicate where sub menus exist. ADDED: Ability to update copyright notice in footer trim in WP Customizer. ADDED: Author information to author archive page (and styling). ADDED: Ability to use Google web font subsets (i.e. latin). ADDED: New 'Welcome' and 'Help' tabs to admin panel ('Appearance > Theme Options') providing better introduction and links to get help. ADDED: XML dummy data files for easy import of posts, pages and portfolio items as on the demo. ADDED: Ability to add html content to the right of the logo in header v2 via WP Customizer. 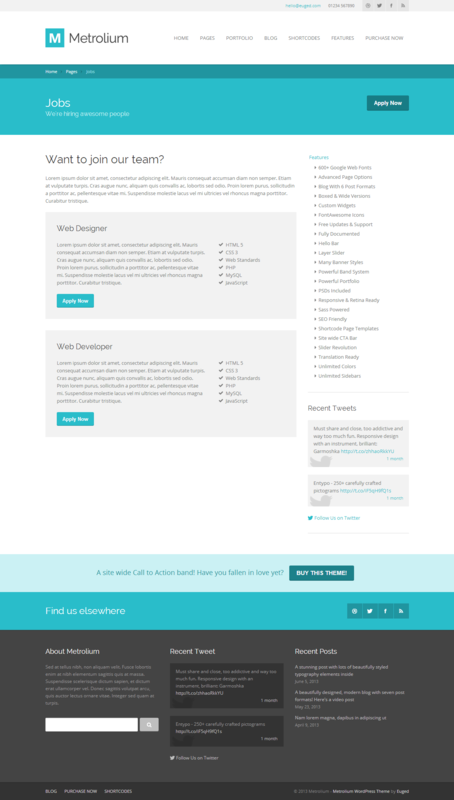 ADDED: Child theme and documentation on its use. FIXED: Navigation items that have sub menus no longer 1px taller than those that don't. FIXED: Double page scrollbars in Google Chrome on Windows. FIXED: IE stylesheet conditional statements showing up at the top of pages in IE. FIXED: Margin bug with portfolio shortcode causing items to touch left edge of screen on mobile. FIXED: Bug preventing FlexSlider from working on the blog. FIXED: Messy shadow on mobile sub-menus. FIXED: custom_css output bug causing custom CSS to break when using certain selectors. FIXED: Bug with textareas height being similar to text input, now look normal again. FIXED: Bug where videos used in LayerSlider were unintentionally small caused by conflict with FitVids. FIXED: Grid offsets now work on non-linearised grid rows. FIXED: Several hardcoded strings that were previously missed now changed to translatable text. FIXED: Bug in Firefox where bands would show a dark line on the bottom edge. CHANGED: Breadcrumb logic to now use slugs in parents rather than titles for improved readability. 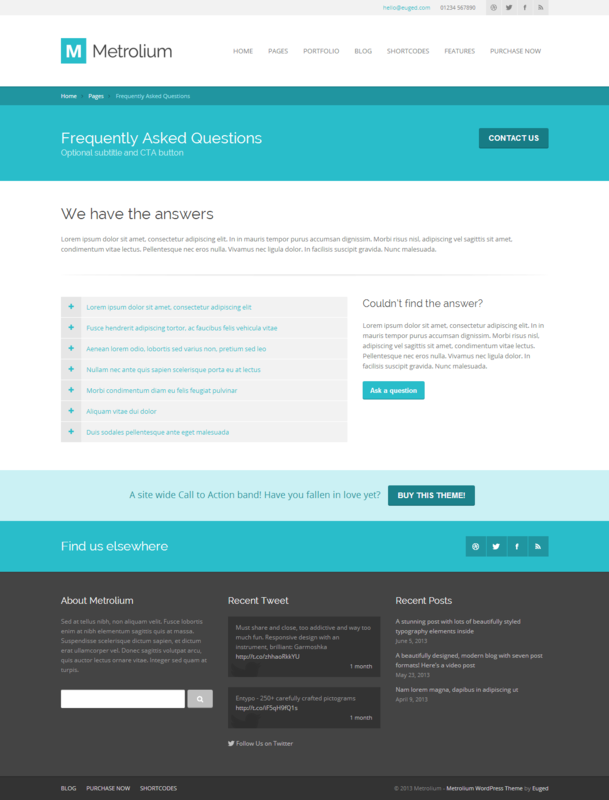 CHANGED: Reduced padding on .box from 30px to 20px and removed padding-bottom of 10px. CHANGED: Reduced paddings on a (link) elements in header-v2 and header-v3 navigation as they were too big. CHANGED: Error messaging when Twitter widget hasn't been correctly configured the be more friendly and human readable. UPDATED: Language .mo and .po files. UPDATED: euged_mega font to include youtube icon. UPDATED: Enqueue logic for isotope script. UPDATED: Notice links now have better styling. UPDATED: Title and Sub Title that get displayed on author archive page. UPDATED: Styling for recent posts widget when using images to show post format where image doesn't exist for a post. REMOVED: Author name from meta data on single blog post.